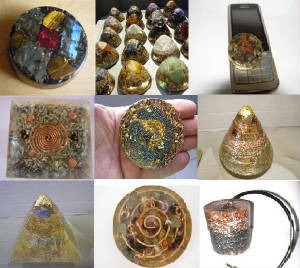 HARMONIUS Orgone Negative Energy Equalizer (HONEE) Devices are a mixture of assorted metal shavings and plastic resin, with minerals, quartz and/or copper; useful as an environmental clearing tool because of its high and automatically-centering vibration. Placed outside, buried under ground or deposited into water; HONEE Devices are a bio-energy cleaner which converts harmful Orgone energy to healthy, beneficial Orgone energy and reduces the biological and psychological effects of Electro-Magnetic-Frequency pollution. The devices counteract the adverse physical and mental health effects of HAARP, GWEN, ELF, SCALAR and HPRF transmission towers (hence the common name for the devices: 'Tower buster'). ●Simple. Easy to use. Works continuously. ●Turns negative energy into positive energy. ●Purifies the atmosphere, detoxifies water, ends drought. ●Mitigates harmful effects of EMF radiation. ●Disarms and repels predatory forms of life. ●Inspires a pleasant demeanor, balanced, happier moods. ●Frequently remedies insomnia and chronic nightmares. ●Helps awaken your innate psychic senses. In the 1930's and 1940's, Dr. Wilhelm Reich posited that an unseen energy permeates our experience. Using a modified geiger counter, he was able to detect and measure the existence of etheric energy (life energy, chi, etc. 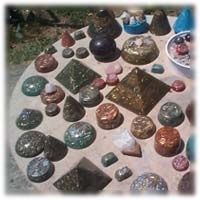 ), which he called orgone. Dr. Reich determined that stacking alternating layers of fiberglass (an organic substance) and steel wool (an inorganic substance) would actually attract and collect orgone/etheric energy of both the life-beneficial positive form (which Reich called "OR" or "POR") and harmful negative etheric energy ("deadly orgone" or "DOR"). He called this energy orgone, and said that orgone energy could exist in two states: either as Dead Orgone (DOR), which is bad for living beings, or as Positive (or Pure) Orgone (POR), which is good for living beings. This energy is believed by many to be similar or the same as prana, chi, or aether. Dr. Reich discovered that layers of organic (carbon-containing) material alternating with layers of inorganic (metal) material would create an effect that balanced the DOR and POR of the immediate environment. Reich built his research lab, dubbed Orgonon, in rural Maine, USA, as at the time, this location was very isolated from sources of "deadly orgone" (DOR), which his accumulators would collect indiscriminately. Operating an orgone accumulator near sources of DOR (such as nuclear power plants, radio towers, etc.) has the potential of harming anyone receiving treatment inside it, so geographical location was and is an important factor for orgone accumulator operation. He constructed large boxes called orgone accumulators or "oracs" using this simple layering principle and was able to successfully heal his patients of various ailments, including various forms of cancer, by having them sit inside the box for periods of time. In 1986, scientists at the University of Marburg, Germany published the results of a double-blind study, which showed a 30-minute orgone accumulator treatment caused consistent, positive psycho-physiological effects. "the results received in our investigation furnish evidence for the assumption that the physical properties of the orgone accumulator and its psychophysiological efficacy on human organisms, postulated by Reich and his associates, factually exist." Reich's work was continued in earnest in the 1960's by more open-minded Russian scientists such as, Dr. Nikolai Kozyrev (1908-1983). Kozyrev also scientifically proved that such unseen energies indeed exist all around us, and who's Reich-inspired work led to the unfortunate development of practical Soviet military defense applications which utilized principles of so-called "torsion fields" (e.g., etheric energy). Kozyrev's work, which indeed confirms both Reich's research and empirical experiences with Orgone/Orgonite, was classified until the fall of the Soviet Union in 1991. Following in their footsteps, thousands of Ph.D.- level researchers, from both sides of the Iron Curtain and spanning multiple generations, have continued Kozyrev and Reich's pioneering work. Slowly forcing mainstream Western science to finally, "officially recognize" the concept of a universal, unseen energy medium they call "dark matter," "vacuum flux" or "zero-point energy," depending on who you ask….It is commonly understood among Orgone / Orgonite enthusiasts that these are all essentially describing the same thing, which Reich called "orgone". Recently, Quartz crystals were added to increase the intensity of the field generated and to create devices that, rather than merely balancing the DOR and POR, actually transformed DOR into POR.